Our company is committed to the examples set by The Rio Declaration on Environment and Development and the Environmental Principles of the UN Global Compact. To keep our commitment, we employ a number of different technologies, like virtual machines and energy efficient servers to minimise our power usage and maximize the performance we offer our clients. We have installed a large solar installation that offsets all of our daily power usage and sends plenty back into the grid. We run energy efficient LED lights and use many other initiatives such as simply switching the powerpoints off when not in use. For the areas we can’t control we purchase carbon credits to offset our usage to make us beyond 100% carbon neutral. This is why we began working through Google. Google has committed to being a carbon neutral company. To keep their promise, they matched 100% of the energy consumed by their global operations in 2017 with renewable energy. 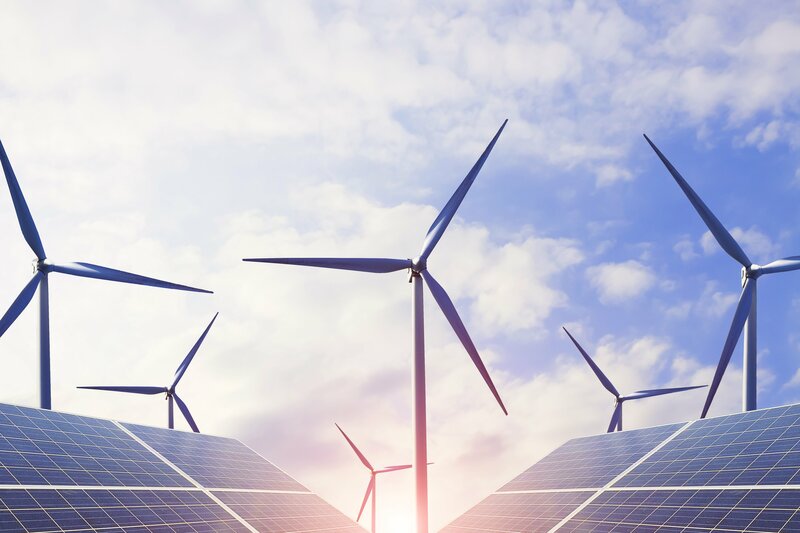 Back in 2010, they signed their first agreement to purchase all the electricity directly from a 114-megawatt wind farm in Iowa, making them one of the first corporations to create large-scale long-term contracts to buy renewable energy. 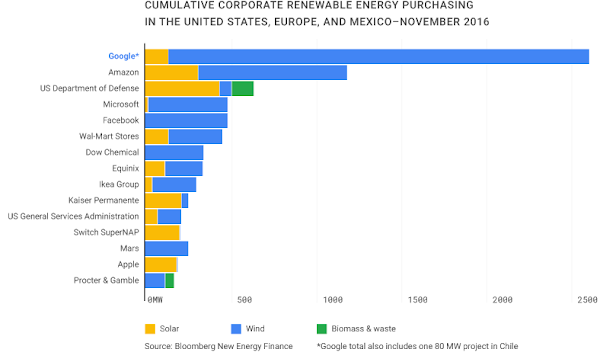 Today, they are the world’s largest corporate buyer of renewable power, purchasing and using 2.6 gigawatts (2,600 megawatts) of wind and solar energy. Their plan is to continue directly buying enough renewable electricity each year to cover every unit of electricity their global operations consume. This is a great big step in the right direction and we believe that with such a large corporation like itself starting this trend, other companies may follow. Recently, AusTiger began working through Google Cloud. Michael Barwell, CEO & Founder of AusTiger says that “The IT industry uses about 11% of the Earth’s power generation so, every little phone that gets charged, that power has to come from somewhere. When you click a like on Facebook, that little like has to go through probably 10 or 20 servers before it ends up at Facebook HQ, on some seriously big servers and all the way, each one of those devices have got to be powered somehow. So, every little thing on the internet consumes a little bit of power.” AusTiger works hard to support lowering greenhouse gases, ultimately diminishing global warming. By moving from a carbon-offset self managed data centre to Google Cloud, the emissions associated directly with our company’s hosting infrastructure continue to remain zero and we are additionally ensuring the network traffic on the Google network is also covered. Google Cloud also reports that businesses that switch to Google Suite products such as Gmail, Google Docs, Google Drive and Google Calendar (All products that we use here), have reported reductions in IT energy use and carbon emissions of 65% to 85%. When AusTiger works through Google Cloud, our digital footprint continues to be offset with clean energy, reducing our impact on the environment - we like this very much! We highly encourage other companies to look at their options and make the move to a more energy efficient platform such as Google Cloud.